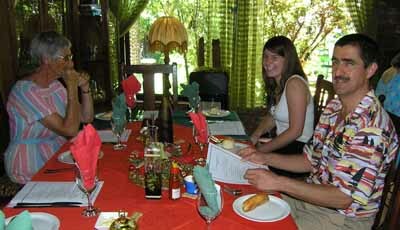 Thank goodness for Pam Brennan who came to live here, from Bulawayo. 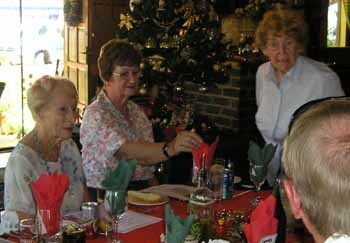 Here she is at our Christmas lunch with her family: Kylie her granddaughter and Mario her son-in-law. The stalwarts of Kennel Club: June and Sue always in the kitchen when there is a show on, here you see them talking to Gladys one of our very long trainers who sadly is leaving us to settle back in the UK. This entry was posted in Kennel Club Event on 15 December 2012 by Ilse van Erp. 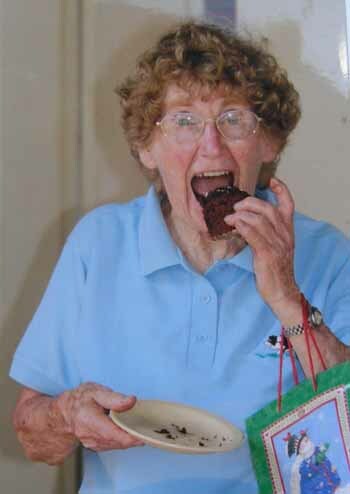 Caught in the act, Gladys enjoying a piece of cake at the Christmas party.